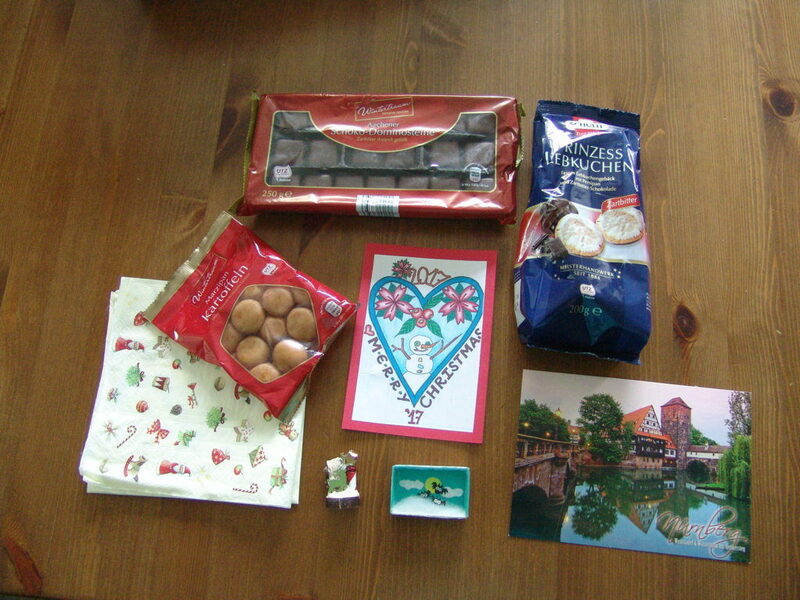 A Wonderful Christmas Parcel from Nina! I really love her blog and think you guys would like it too if you haven’t already discovered it. 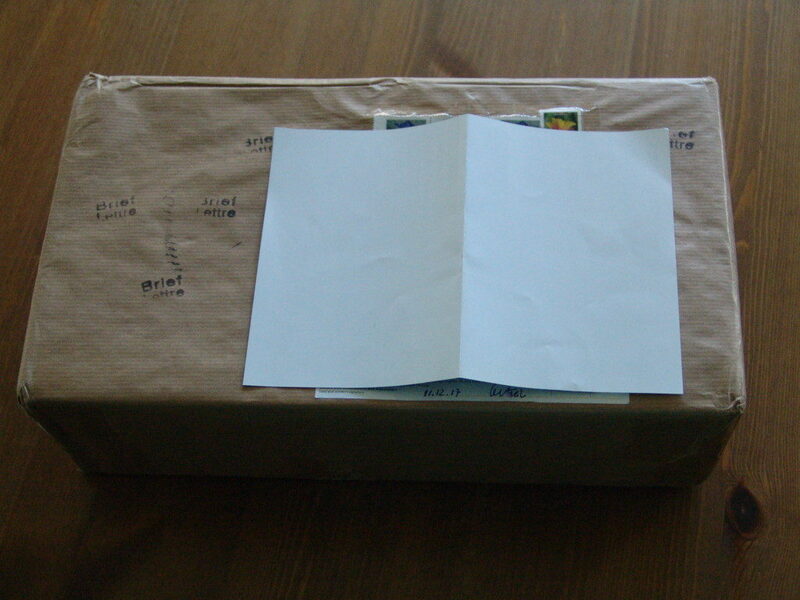 First things first, I noticed that the parcel was huge! I really didn’t expect it to be that big! Inside were some lovely German sweet treats which I am very much looking forward to eating! And sharing little Emily Beaman just reminded me (she is sitting next to me as I write this)! Also there is a wonderful postcard which has a very pretty photo on it as you can see. Her card is also lovely, did you draw that on the front yourself Nina? She also included two serviettes and two other little miniatures. 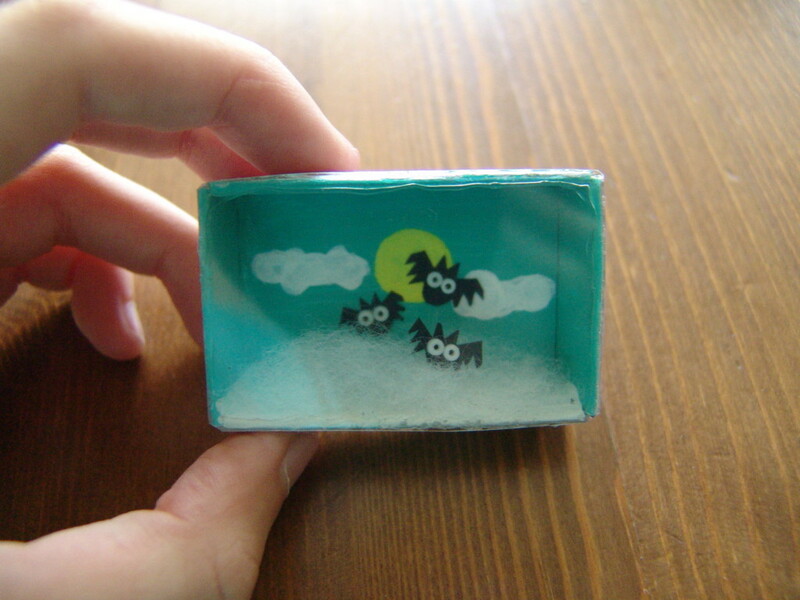 The first miniature which I am quite sure is handmade, is what I think is a glass box with pet bats which I will give to one of the children in Dandelion Creek. Hmmm, I have a person in mind and I will share that with you soon! There is also this amazing decorated scene of a deer in some sparkly snow (I think it is handmade?!). Even though Christmas is over, I will certainly still give it to someone! Who do you guys think I should give it to? Maybe the Macavities? That is the lovely parcel and I want to say a big, big thank you to you Nina! Both miniatures are handmade as Fudge has explained in my last post and I also drew the Christmas card motif myself. It would be awesome if you could give the deer ornament to the Macavities and they would display it inside their beautiful bakery!! I hope that my parcel reaches you soon! I love the ornamnt and will give it to the Macavities today! I certainly will enjoy the sweets! That´s a real sweet parcel! The miniatures are very cute. 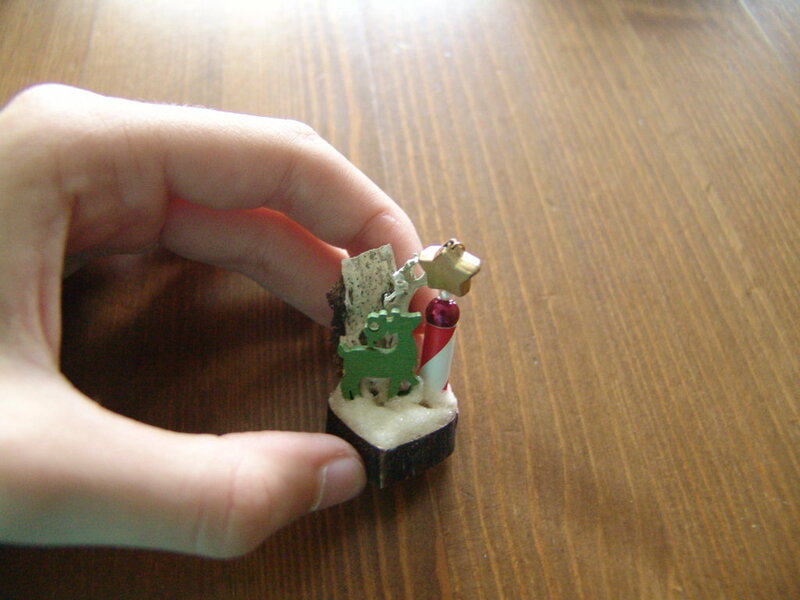 I think the deer ornament would look lovely at the Macavities´ bakery. They can display it at their shop window next Christmas. A Happy New Year to you Cutata! In Spain, they have this grape eating tradition at New Year’s don’t they? Do you do that? Yes, eating the twelve grapes after a special dinner at New Year´s Eve is a tradition for all spanish people. It is the only day of the year that everybody is doing the same at the same time.